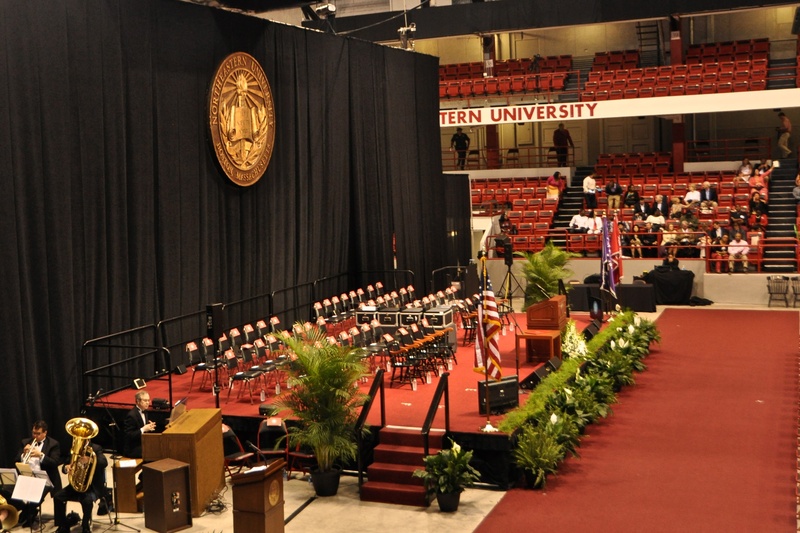 It stuns me to think that it has been nearly a year since I walked across that stage, in that decked-out gym surrounded by happy classmates and proud families, and graduated from Northeastern University School of Law. 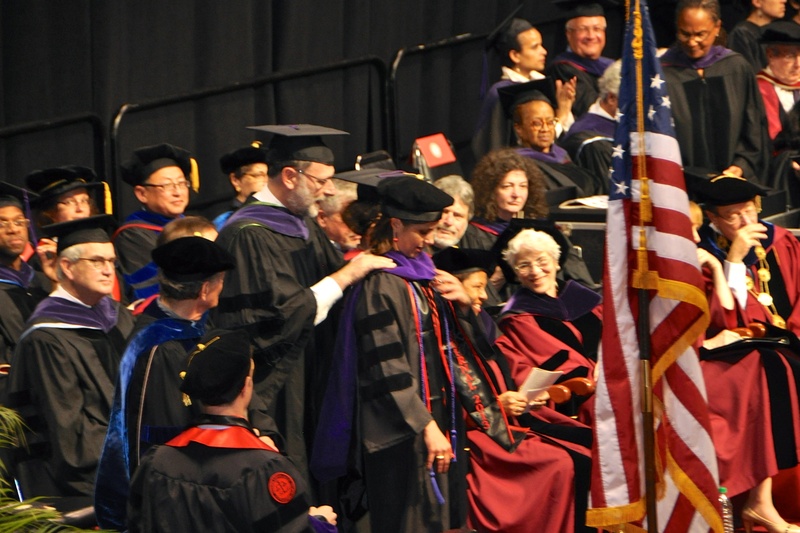 I moved from Boston to D.C. the day after graduation and began studying for the Maryland bar. On August 1, the day after the bar exam, I started my current position as an immigration attorney at Faegre Baker Daniels LLP. Starting at FBD felt like coming home, in many ways. I had worked in the firm’s Minneapolis office in 2005 as a paralegal in the immigration group right after finishing my Peace Corps service. Now, as an attorney working from the D.C. office, I am a peer to the same attorneys for whom I had worked so many years ago. My practice focuses on employment-based immigration, and my days are spent preparing non-immigrant and immigrant visa petitions to be filed with the U.S. Citizenship and Immigration Services (USCIS). I assist employers – large multinational corporations and small organizations alike – in obtaining work authorization for highly skilled employees from all over the world. I counsel clients on immigration strategies to assist in workforce planning, and I am just now starting to advise in the areas of I-9 and E-Verify enforcement and auditing. I write legal updates on employment-based immigration issues with my colleagues, and I provide information and guidance to non-immigration lawyers within the firm when they have immigration-related questions that come up in their practice. While I had always envisioned working in a nonprofit or governmental setting after law school, I enjoy my work at FBD every day and am grateful to be here. My colleagues are smart and funny, and they know how to have full lives outside of the office. Each meeting seems to start with at least 30 seconds of group laughter at some joke, and even when we’re all staying late to meet a tight deadline, there’s always time to send a funny cat .gif to the team to lighten the mood. Another benefit I’ve found in working at such a large firm is the seriousness with which the lawyers approach pro bono work. The Minneapolis office in particular has an incredible track record of pro bono and community service, and the firm takes great pride in it. In the smaller D.C. office, there has not been such a strong pro bono presence, but community service is popular. In the past seven months, we in the D.C. office have planted trees to green a neighborhood and collected clothing and raised a few thousand dollars for a local homeless advocacy organization. Soon after I started at FBD, I reached out to my former PHRGE co-op employer, Physicians for Human Rights, to see if they had any work I could do on a pro bono basis. I was tasked with writing an NGO report on Russia’s upcoming review under the International Convention on Civil and Political Rights (ICCPR), using medico-legal affidavits prepared in support of Russian asylum cases. I was so happy to be able to continue working for such a great organization – and it felt like a great way to maintain my PHRGE roots at the same time. I also saw that there might be an opportunity to do ongoing pro bono work in D.C. with an organization I worked with while at NUSL – the Iraqi Refugee Assistance Project (IRAP). IRAP provides individual legal representation for refugees, partnering with law firms and law schools to assist individuals and their families fleeing persecution. Although the firm’s bureaucracy meant that launching the project took longer than my impatient DNA would have preferred, FBD has now decided to form case teams in D.C. and Minneapolis and will take on a handful of cases starting this spring. I couldn’t be more thrilled that my colleagues and I will be able to help refugees through IRAP with the firm’s strong support. It feels like a continuation of my favorite activities at NUSL, and it allows me to advocate for a marginalized population in need – even when my day-to-day work focuses elsewhere. It goes to show that you can take the girl out of NUSL, but you can’t take the NUSL out of the girl. This entry was posted in Uncategorized and tagged co-op, employment-based immigration, immigration, immigration attorney, Iraqi Refugee Assistance Project, NUSL, PHRGE, Physicians for Human Rights. Bookmark the permalink.